Posted in Language & Development Conference 2015 on December 15, 2015 by Nataasha Southwell. 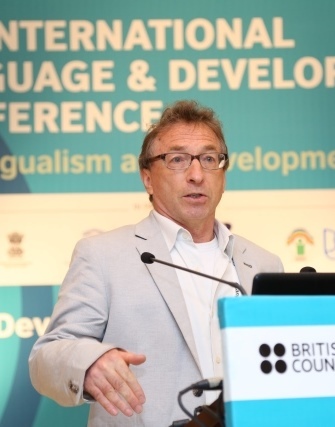 British Council India played host to the 11th International Language & Development Conference in New Delhi from 18-20 November, the first time this prestigious biennial event was held in this country. The event was the largest and the most diverse of the conference series thus far, attracting 266 registered participants and with a programme of more than 60 sessions. Nearly 30 countries were represented, from Afghanistan to South Africa, Bhutan to New Zealand. Feedback from across the board suggests that the conference was a resounding success, bringing together researchers, policy-makers and practitioners from a wide variety of contexts. 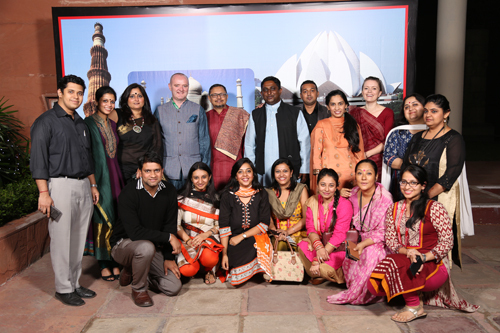 Learning from leading a diverse team from across India, with generous inputs from colleagues in the wider South Asia region (such as Sri Lanka, Pakistan and Bangladesh) was one of my own substantive take-aways from the project as the senior manager responsible for planning and delivery of the conference. Just the core conference team of six of us had over a dozen languages amongst us. A colleague has documented how meticulously we planned for and dealt with various Equality, Diversity and Inclusiveness (EDI) challenges, including providing for simultaneous translation in Hindi, Mandarin and Amharic for presenters. Chairing the session where we launched the conference proceedings from Sri Lanka and discussed multilingualism from the perspectives of social cohesion and national narratives resonated at a deep personal level. My parents were born in country that no longer exists (East Pakistan, now Bangladesh; the trigger for the conflict being a language-related issue) and I was raised in a province in India that is now carved into another one (south Bihar has become Jharkhand). I grew up with Bengali as a home language, Hindi as the language of the playground and school. Like most middle class aspirational households (that too of ‘refugees’ who had clawed their way back to a life of dignity on the back of educational and professional success) English was a constant presence at home, and also in school. These issues of being caught out in narratives of displacement and political reconfiguration came back to me vividly as the discussants from Sri Lanka discussed the role languages played in the conflict and then reconciliation in the island nation. The conference was supported by the Deen Dayal Upadhyay Grameen Kaushalya Yojana of the Ministry of Rural Development of the Government of India; UNESCO South Asia cluster office based in New Delhi; Research Councils UK; Jawaharlal Nehru University’s National Multilingual Education Resource Consortium and the Digital Empowerment Foundation. The main theme of the conference was Multilingualism and Development and the three broad sub-themes were Multilingualism and the Metropolis; Language, Technology, Multi-literacies; and Multilingualism, Marginalisation, Empowerment. These issues not only reflect the rapidly changing reality of India and the wider South Asian area, but almost every other developing country and, in some cases, even the so-called developed countries. Presentations included plenary addresses by Indian and international experts, workshops, a book launch, a debate and a ministerial panel discussion. 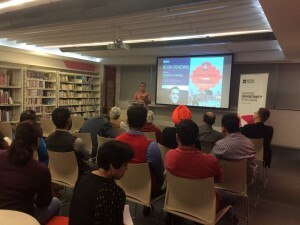 Around 30 of the presentations were by international speakers, discussing their work in a total of 20 different countries, from Sierra Leone to China, from Myanmar to Denmark and from Pakistan to South Africa. The plenary sessions and many parallel session were webcasted and recorded. These recordings are now available to view on YouTube. Through Facebook posts, re-posts and comments, the conference reached out to approximately 700,000 and #LangDev2015 trended on Twitter for the duration of the conference, with over 2000 tweets and re-tweets with approximately 600,000 impressions. The involvement of Digital Empowerment Foundation as partners and a well-thought out internal social media plan meant huge boost for the conference in the social media world. Several colleagues took turns to blog live from the conference sessions and these blogs can be accessed here. Initial feedback from participants has been uniformly positive, with 95.5 per cent of feedback survey respondents reporting that they believed it was a high quality event and that they acquired new knowledge and skills from taking part. Eighty three per cent of participants indicated that they believe the discussions from the conference will directly impact on future research in the area of language and development. We will continue to track the conference’s impact over the coming months. We have had numerous emails of support following the event, including the comments below. “Thank you for the great Conference with a galaxy of intellectuals and scholars. I am looking forward to future action.” Justice Sonam Tobgye, former Chief Justice, Chairman of Royal Research Council, Bhutan; Delegate. “I wanted to thank you all once again for a most wonderful conference. I learnt a lot, met a great many stimulating people, and came away with inspirations.” Dr Anuradha Kanniganti, Lecturer, National Institute of Oriental Languages and Civilisations, Paris, France; Speaker. “It was really a remarkable event where we learnt some in-depth research on MLE, education, language preservation and promotion, development, digital media and the endangered languages, English as Medium of Instruction and some good case studies round the world.” Mr Zubair Torwali, Executive Director, Idara Baraye Taleem-o-Taraqi IBT, Pakistan; Speaker. “Thank you for hosting an excellent conference. I, for one, benefitted immensely from the discussions, the plenaries, the presentations and the feedback I received on my own presentation. I look forward to furthering the conversations and discussing possible areas of collaboration with the British Council in the coming days.” Dr Padmini Boruah, Associate Professor in ELT, Gauhati University, Assam, India; Speaker. “My thanks again for an outstanding conference, which did indeed foster and strengthen important collaborations. 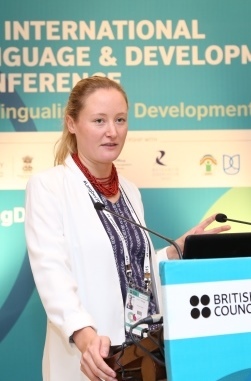 Warmest congratulations to you and your team for a memorable and important event.” Dr. Bonny Norton, Professor, Dept Language & Literacy Education, University of British Columbia, Canada; Speaker. ”Thanks for a great conference, great learning for all of us. We may explore possibilities of launching a large scale research on how multilingualism operates in Asian and African contexts.” Dr Ramanujam Meganathan, Department of Education in Languages, NCERT, New Delhi, India; Speaker. “[The conference] was simply awesome. Debates, discussions, ideas, energy, willingness, and most of all hope – all were visible. In fact some of our colleagues just did not want to miss any moment ” Osama Manzar, CEO, Digital Empowerment Foundation, India. Plenary speaker and one of the conference partners. The conference was just the beginning of a wider conversation we intend to have with all our partners. We envision an ongoing programme of engagement led by partners and participants as a result of the discussions and debates that took place during the three days. Our conversations on multilingualism and its role in development have just begun. Watch this space. Posted in Teacher education and development on December 11, 2015 by Nataasha Southwell. In all our teacher development work we look to ensure the sustainability of our projects once they come to an end. One exciting innovation we have introduced this year in our English Language Initiative in Secondary Schools (ELISS) for teachers in Maharashtra is a mentoring pilot project. Eighty Master Trainers were selected and trained in mentoring skills and are now mentoring 15 teachers each. After discussions with the government on a suitable mentoring model, we sent out a call for applications from the ELISS Master Trainers to become mentors in early 2015. We received over 300 applications in total. 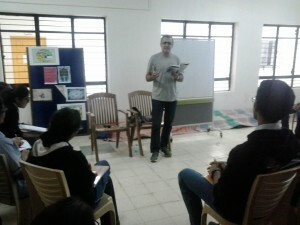 The mentor training for the 80 individuals selected took place in May in Pune and received very positive feedback. Topics discussed in the training included the role of mentors, active listening and giving constructive feedback. After this initial training, mentors set up meetings with Head Teachers and teachers from their local areas to introduce the project, explain the aims and objectives and discuss next steps. Since then, mentors have been working with 15 teachers each, carrying out all sorts of activities, including conducting developmental observations, holding small INSET sessions and holding 1-1 discussions. After the pilot ends in March 2016 we hope to scale up so that all 420 Master Trainers become mentors. To do this we need we need to learn from our experiences and continue to improve. There have been several difficult situations and challenges faced over the past six months and one thing we have learnt is the importance of good communications between everyone involved – between British Council staff, government officials, Education Officers, Heads, mentors, teachers … everyone. So far, it’s been a great learning experience and a lot of fun. It will be interesting to see how things develop over the next year. 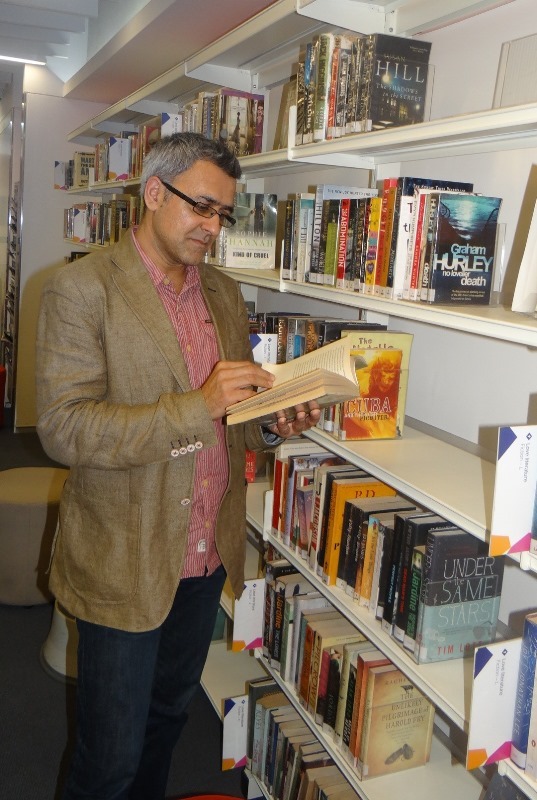 To read about the mentoring pilot from the perspective of a mentor, take a look at Mahesh Dudhankar’s brilliant recent blog post on his experiences on the project so far. ELISS is a four year partnership project in Maharashtra with Rashtriya Madhyamik Shiksha Abhiyan (RMSA). It aims to improve the teaching skills and language confidence of 16,400 secondary level English language teachers in government schools across the state, using a variety of innovative delivery formats. Posted in Language & Development Conference 2015 on December 11, 2015 by Nataasha Southwell. Every environment offers to us multiple linguistic possibilities. Every day we chose to communicate in a certain language. This decision, consciously or subconsciously taken, subtly or aggressively deliberated upon, is a decision that shapes us as citizens of a civilised world. What then is the importance of language in our political, economic and social world? I, for one, am unable to answer this question in any holistic fashion. Our language choices are so embedded in our lived realities that it takes us some time to dig them up from our collective conscious. The 11th International Language and Development Conference provided just the space required to fuel this thinking. With speakers coming from every part of the world, it is only natural that the confluence of ideas was as varied as it was uni-directional, all moving towards the development of language as one whole, as a part of our identity as leaving, speaking and talking beings. Language has been fragmented to the extent that it has ceased to appear substantial. The conference was one way to reclaim the priority of language and award to it the status it deserves-that of an essential part of our development and growth. Language is not an appendage to growth, an inconsequential outcome of our education and upbringing; instead, it is the core of who we are. The language in which we express is the language of who we are and wish to be. So be it in schools, colleges, or even our own homes, language cannot be taught. The writer is the Project Manager for the 11th Language and Development Conference. 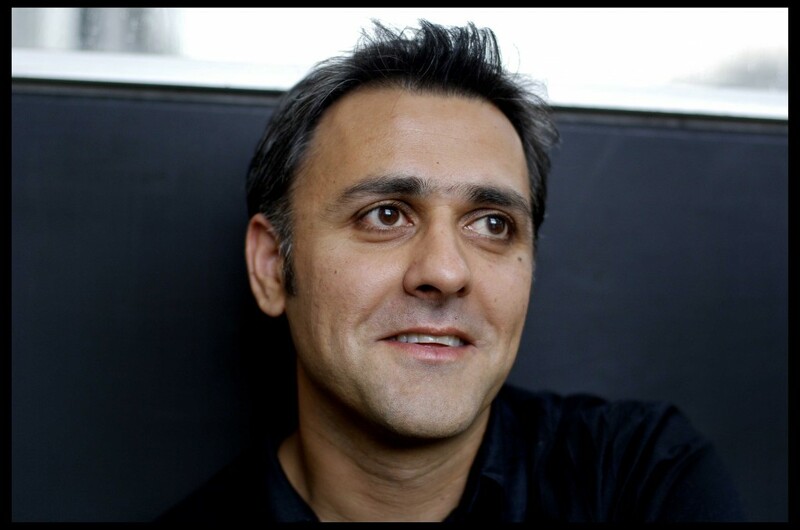 Posted in Arts and tagged author, Books, British Council, Daljit Nagra, Epic; childhood; road trip, literature, Maidens Hotel, Ramayana, Reading on December 3, 2015 by Debesh Banerjee. I suspect I’m crossing no line of tact by saying the traffic situation is impossible in Bangalore. Not only are the roads teeming with cars, motor bikes and horn bleats but there is no concept of lane driving. Drivers find a gap and invent a lane then shuffle along the jam-packed roads. I imagine all this would cause frustration. That’s too polite. I imagine it’d cause rage, proper road rage! So when on my third day here, my driver has an accident, my first but no doubt not last of the trip, he knocks a motorbike and both drivers head from their vehicles for a showdown. I look away fearing fisticuffs and expletives. Instead, when I look up the drivers are checking each other vehicles and noticing nothing much has happened. Then in the 30 degree heat they seem to be wearing wry benign looks and seem to be chatting as though they’re about to exchange addresses for a meet up. When they eventually part, they seem lit with smiles as they return back into the traffic. This must be an example of that famous laid-back, affable geniality attributed to Bangaloreans. I’m left wondering, if there’s any chance of the DVLA inculcating this gentility into the next generation of our British drivers? At the Delhi Festival last night, I watched the great Indian poet, Jeet Thayil, author of Booker Prize shortlisted Narcopolis, read from his Collected Poems. After the reading I bought his book and whilst queuing for the autograph, I bumped into a girl and a boy. It turned out although they looked like lean teenagers they were in their early 20s. I asked them about their poetry reading at school and they said they’d read mostly British Romantic poets and so they knew of very few Indian poets who write in English. I asked them whether they were poets and both said that they were performance poets. They’d independently and quietly been writing page poetry then one day they’d gone on Youtube and discovered the likes of B Zephaniah and K Tempest. These clips had changed their lives because they too wanted to be performance poets. They had both quit studies in Law to see if they could homogenise performance poetry in India. Into an Indian Poetry Society. They now live in Bangalore and have been funded in this venture by a young start-up entrepreneur. They both believe young people are not being encouraged into individual expression of if they are writing poetry they have no outlet for it. So this young couple, Shantanu and Nandini, have been visiting campuses around the country to spot new talent and give them an online presence. I said I’d pass on their emails to people I know at The Poetry Society in Great Britain and to Apples & Snakes. Perhaps we are able to support this valiant cause. I have returned to the land of my ancestors as a poet, for the first time. Whilst being driven around and at poetry readings I’ve found myself hearing Dylan Thomas’ chiasmus about his own background, Ah the land of my fathers; my fathers can keep it! I felt this most potently last night at a reading I gave in Chandigarh. The audience for my event was even gendered and well-balanced in age, from College students up to a few elderly individuals. Once I was introduced by the MC I duly took the podium but there were no customary applause. Only stony silence. So I thought I’d try and lighten the mood with a couple of my more humorous poems. Neither was there laughter at my best lines nor was there applause at the end of each poem. Instead, each spectator seemed to wear a brow-knitted angered look. On it went, the stony silence, the perplexed look from each viewer. Anyway, I stopped reading ahead of time because I suspected my reading was clearly unwanted. Perhaps it had offended. Yet when I was asked for questions, I was flooded by a stream of insightful questions. The audience put up their hands and whilst still not smiling, at least there were many lovely questions about my work which went on for over 40 minutes. Even after the event had finished, several people came up to me to discuss poetic and political issues. These issues helped me deepen, and are helping me deepen an understanding of myself. So what I learned about my ancestors: their serious looks are scary looks (which I must have worn all my life in England! ), they don’t care for humour but only for deadly serious poetry, they are wonderfully brilliant listeners and supremely interiorised about their appreciation; they allow you to elicit their pleasure by asking you brilliant questions. I am proud to say the land of my fathers is a land I’d like to keep close to my heart. Next time I read in Punjab, I’ll come fully prepared to treat the silent treatment as a sign of affection. Posted in Language & Development Conference 2015 on December 1, 2015 by Nataasha Southwell. This presentation provided a fascinating insight into the issues and processes of creating a digital multilingual dictionary. Through examples, the complexities and ambiguities of organising a digital multilingual resource were explored, and the links between language and concept highlighted. Martin outlined the challenges faced by the Kamusi Project in collecting data to populate the multilingual dictionary, and how they were attempting to use crowd sourcing, Facebook initiatives and mobile phone apps to collect translations and also to further check translations. An interesting issue highlighted in the talk and through the questions is how to get input on more minority languages, as users of these languages tend to use their language mainly orally and also are often not computer literate or have access to ICT. Panel Discussion: Multilingualism in India – Where are we now? Chaired by Ajit Mohanty, the panel explored the issue of multilingualism in India and the impact on education. In conclusion, and in answer to the panel discussion question “Multilingualism in India: where are we now?” Ajit stated simply “Confused”, which seemed to sum up succinctly and accurately the mood of the panellists and audience. The discussion had been far ranging, exploring issues such as the need to address multilingualism for all in India, not just tribal communities, the importance of bio cultural diversity and the efforts being undertaken to preserve this, the view that multilinguality is ideological as well as practical and the difference between plurilingualism and multilingualism (the former is additive while the latter is across languages). The historical element was also much discussed, but unfortunately little was offered for a clear way forward. There was very much a sense of defining the problems, but little in the way of proffering strategies to go forward. So in a sense, this discussion really did identify where things are now. This dual presentation addressed the issue of moving from monolingual to plurilingual African classrooms. John Simpson set the context and outlined the background to educational practices in Sub Saharan Africa (SSA) and the linguistic diversity of SSA (2,100 different languages, of which 100 cross borders). Lizzie O. Milligan then presented findings from a Rwandan case study research exploring the potential for improvement in teacher classroom practice through the use of bi-lingual textbooks and language supportive pedagogy. John explored the idea of ‘early exit’, which is the more common policy where children move from being educated through MT to an L2 medium of education (usually English or French) early in their schooling, as opposed to ‘late exit’ where this shift happens at the end of the primary cycle (only really evidenced in Ethiopia and Tanzania). Research presented shows that early exit has a negative impact on the general education of children and little benefit to their L2 language proficiency. Further issues identified were the lack of proper transition, no clear policy on code switching or ways of providing scaffolded support. The conclusion was the need for advocating extended use of MT and a more gradual transition to L2 medium eduction, empowering teachers to use MT and L2 strategically and in an informed way. This was all interesting background information. Lizzie then presented research looking at how far there has been an improvement in teacher classroom practice in use of textbooks and language supportive pedagogy as a result of a revised textbook intervention. Research findings from this Rwandan case study clearly identified improvement in confidence of both learners and teachers as a result of introducing bilingual text into the subject textbooks. More information about what work was done to improve teachers’ classroom practices through this intervention would have been interesting, especially the issue of strategic code-switching to support learning.